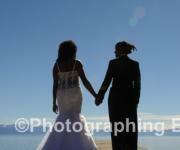 Wedding Licenses, Last Minute Weddings, Photography, Lake View, Open 7 days, Lodging. 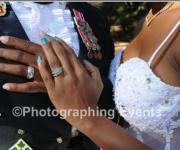 Overview: Ann Poole Weddings & Wedding Licenses  allows you to have the ultimate dream wedding. 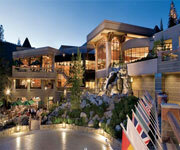 This Lake Tahoe wedding minister strives to make the event perfect for you in every way. What To Know: Ann Poole Weddings & Wedding Licenses  customizes Lake Tahoe weddings to your specific desires. The Customization: Everything about the wedding will represent you and your sweetie when you plan it with this Lake Tahoe wedding minister. 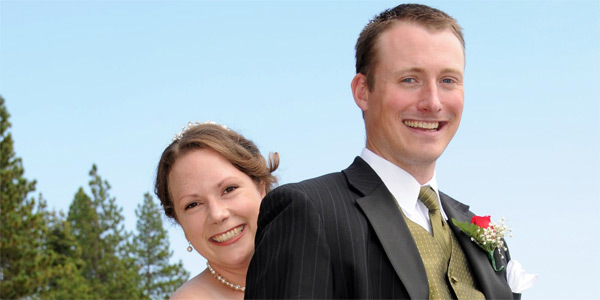 Ann Poole Weddings & Wedding Licenses  Lake Tahoe wants you to be happy with this monumental celebration, and will work with you to create the wedding you want. The Locations: Anywhere you wish to go, Ann Poole Weddings & Wedding Licenses  will go and perform the wedding rites. 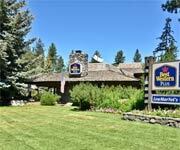 The Minister: This Lake Tahoe wedding minister accommodates your particular preferences when it comes to every aspect of the wedding. With her friendly and warm personality, the minister at Ann Poole Weddings & Wedding Licenses  makes you comfortable with every part of the wedding ceremony. Inside Knowledge: Ann Poole Weddings & Wedding Licenses  can write personalized wedding vows for you and your honey bun. 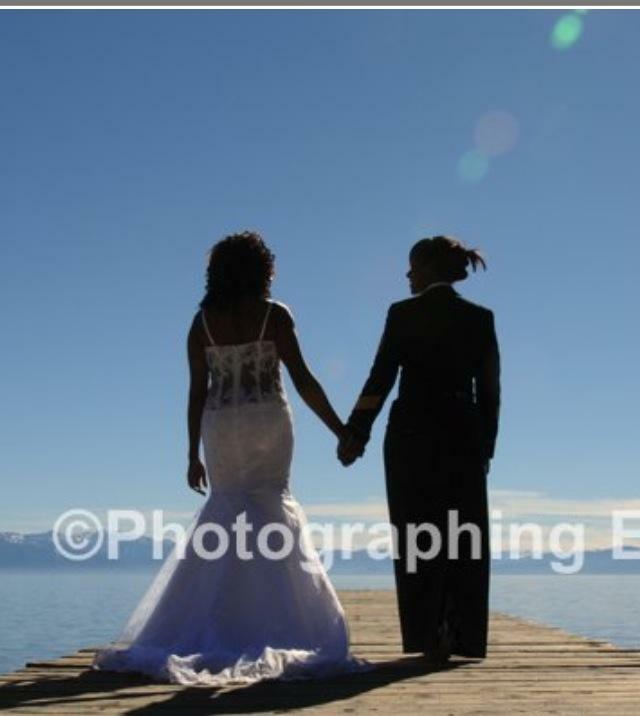 You can also choose from one of the beautiful pre-written vows available from this Lake Tahoe wedding minister. 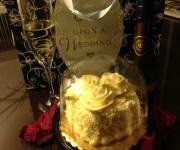 Ann Poole Weddings & Wedding Licenses  allows you to experience your dream wedding. 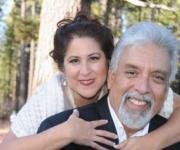 This Lake Tahoe wedding minister can perform the wedding in various languages other than English, if requested. 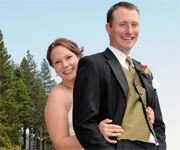 Ann Poole Weddings & Wedding Licenses  marries you in the Tahoe location of your choice. Anne was amazing. She filled our day with more love and laughter than we could only hope for. A professional on all levels. Anne's photos really caught our love for one another. One word amazing. Ann Poole Weddings - Amazing!!! If you are looking to design your own wedding with the help and guidance of a professional, Ann Poole is the best! My husband and I got married in August 2015. Ann recommended a private spot on the northwest side of the lake that cannot be beat. You want your wedding to be a magical moment. That is exactly what Ann provides. She recommended a GREAT spot. She helped us pick the perfect words for the ceremony. We opted to write our own vows and she was very accommodating. If you need help with words for the ceremony, she is there for you. If you want to do your own thing, she will support you. After the ceremony, she provides you with a wedding gift and a small cake to share. What a nice treat! We also hired Ann to do our pictures and we are very impressed! 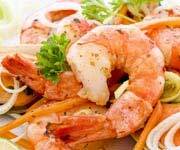 She provides you with an App for your phone with 20 of the best pictures for you to share with friends and family. With a couple clicks, you can post it to Facebook if you want to share it with everyone. It's awesome to be able to share wedding photos without doing any work so you can focus on being a newlywed and enjoy all that Tahoe has to offer. The App doesn't expire so you can keep it as long as you wish! Shortly after you receive the App, you will received a CD in the mail from her with all of the pictures she took. We found Ann because of great reviews and I am so happy we did! Ann was super punctual and responsive and answered all of our questions. She is there for you throughout the entire process. And what an easy process it was! Ann was completely organized with everything ready to go. Thank you Ann for making our wedding a special day to cherish for life!! Ann helped to surprise my husband who had been asking after 20 years to renew our wedding vows. She had posed as a photographer only for about 5 minutes then pulled papers out for the ceremony and had beautifully written renewal wedding vows with hand picked poems for us. We were so blessed to have shared this special day with someone we felt we knew forever. She had taken very memorable photos of us too. Highly recommended. Ann was amazing. I highly encourage and recommend Ann Poole's Weddings to any and everyone even considering getting married....today, tomorrow or next year...she's the ONE! I currently live in Hawaii and flew to Lake Tahoe so Ann could perform our ceremony. My journey with her begin online and I am so glad I found her! She was professional from start to finish. Ann told me exactly what she needed and I followed her guidance. She made me feel so comfortable over the phone that we immediately booked our flight and started making plans to visit Lake Tahoe. In this day & time with all the scams it's hard to believe what you see online but she is legit. She answered questions I had about the weather, what we'd do the day of...just all the questions that brides have...she was there! On the day of our wedding Ann was ready to go and in good spirits. Her warm character made the ceremony and photos a breeze. The ceremony she wrote for us was perfect and classy. It wasn't too long or too short and the view was more than breathtaking. Capturing the moment....I'm normally a little shy but she made it fun and kept us laughing during the entire shoot. I couldn't have dreamed of a better person to marry us. We enjoyed the time we spent with her. She even gave us a gift bag packed with goodies, our cake was to die for...we literally tried to eat it ALL in one sitting! She's your one stop shop for weddings big or small! If you aren't convinced that she's the best in Lake Tahoe...our wedding was on a Saturday & we made it back to Hawaii the following Sunday night by Monday morning we had a link to our photos. Can you say wow??? That exceeded all my expectations. 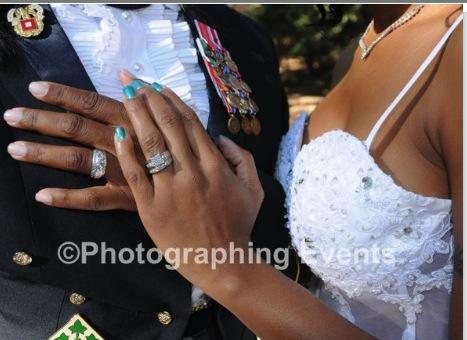 The photos were gorgeous....I can't find one bad one! Seriously check her out....this is my testimony. Flying to California to meet Ann was well worth it! 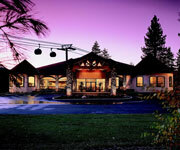 Ann Poole Weddings Lake Tahoe was exactly what we were looking for...and more!! When we decided to elope, we needed someone who could pull the wedding together for us quickly, in a way that didn't resemble a "quickie" wedding. Ann delivered for us in every way! Not only did she find the perfect location for us, she wrote the most beautiful vows (based on her discussion with us). Also, she is an extremely experienced wedding photographer, and took many, many great photos of us! 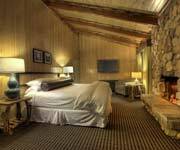 We also had our wedding dinner at a fantastic restaurant in Tahoe City that she recommended (Christy Hill), and stayed at her beautiful Honeymoon Suite. We are grateful to you Ann, for making our wedding the best experience possible!!! I thought that helping my daughter plan her wedding in a 5 week window would be difficult if not impossible to due. She was looking for a small wedding with just immediate family. Her first thoughts went to a court house wedding and then to what I call a 'cookie cutter' wedding in Nevada. Thank goodness we found Ann! From the moment we spoke with her I felt completely at ease. She was easy to talk to; very experienced and answered every question we had with professionalism. She suggested a perfect wedding spot which we had never even heard of, the Squaw Valley Chapel - it was the perfect setting for a winter wedding and I hear it is as equally beautiful in the spring and summer as well. When we met Ann we were immediately at ease, she was calm and soothing and handled everything calmly. My daughter chose to customize her ceremony (which I highly recommend) and we very happy with the ceremony. After the ceremony Ann provided great suggestions for photos - things we didn't see and weren't thinking off. We used a professional photographer but I'm sure that Ann does a great job too! Ann also comes to the ceremony full equipped. She had a fur stole that she offered to let my daughter use for photos that was just perfect. During the entire event we never felt rushed, or pushed. All the guests commented on how wonderful she was and how nice. 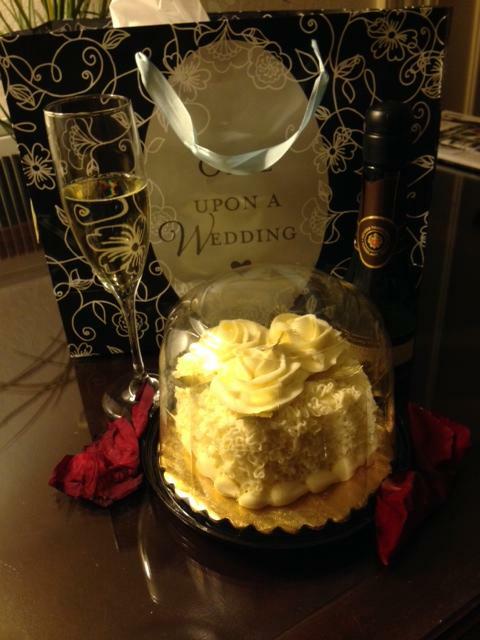 Ann also provided the newlyweds with a gift package at the end including a cake. I had no idea of what the cake would be like but it certainly exceeded our expectations! I would certainly recommend Ann to anyone considering a wedding. We had a wonderful wedding ceremony experience with Ann Poole. 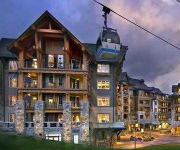 We wanted a private ceremony with a very different environment - the Ritz gondola at Northstar in Truckee, CA. Ann was very accomodating and supportive and we had a great time. Her service was just what we were looking for, and we had alot of fun with alot of laughs. Just how a ceremony should be. It was very memorable and we are grateful to her for being there for us on New Years Day!! We highly recommend her services!!! My Happiest  Day with Ann Poole!!! I love Ann!!! Not more than my new husband, but she made this day easy and enjoyable for both of us. She kept me posted on weather conditions traveling to the Tahoe area, as well as answering all my questions regarding things I may need in Tahoe. The pictures Ann took came out beautiful. My Wedding was special because Ann is friendly, helpful and she loves what she does and it shows!!!! The new missus and I desired a low-key, but memorable wedding day. 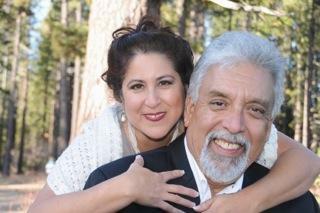 We decided on Lake Tahoe and Ann Poole Weddings. Considering ourselves sticklers for scenery, atmosphere & simplicity, we we're amazed at how Ann provided the perfect blend of all. Actually, we were shocked as most wedding planners tend to tilt to the pink/fluffy side of modern wedding aesthetic. Ann executed a top-notch affair, leaving no detail to guesswork. She was prompt, had paperwork in order, sourced the perfect scenic-spot for the ceremony (overlooking the lake), crafted a lovely ceremony, provided cake and champagne options, and moreover; took really great photos. Ann is a wonderful being. To us, she is one smart, gregarious and hilarious lady-minister. She really-really contributed nicely to what will be a memory for a lifetime. Ann Poole is an amazing woman and I cannot recommend her highly enough. Before the big day, she is incredibly attentive, responsive and ensures that everything will be amazing. This is a woman who cares deeply about making sure that your day is absolutely perfect. It also helps that she is very warm and funny and prepared for ANY need that may arise, be it a forgotten bouquet, ring or even a pin for a boutineer. She is the Girl Scout of weddings! She made our day beyond perfect and sent us of into marriage with love in our hearts and laughter to spare. If you want to get married by a true professional who exudes kindness and love, Ann is your gal! As a couple, we struggled with choosing a location for our wedding ceremony but after giving Tahoe consideration and more importantly speaking with Ann Poole, we knew without a doubt that a wedding ceremony at Skylandia Beach with Ann Poole was for us. She allows the couple to have an interactive role in what is said or not said in the ceremony, she is approachable, knowledgeable, well versed, writes beautifully, and takes phenomenal photos. Please don't hesitate to choose her for your special day. I highly doubt that you will be disappointed in any way. I met with Ann a month and a half prior to our wedding after speaking with a few different Tahoe area ministers. Ann at first stoof out for her responsiveness, good nature, and articulate way. After meeting Ann, I knew that she was the perfect person to marry my fiancee and I with a small group of family by the Lake. A long time local, Ann has some great spots to do weddings relative to some of the more crowded and oft used venues. Ann also worked with us to create a perfect ceremony by providing us with easily customizable options. After working with Ann, I also had a lot of confidence in having Ann take our wedding photos. The morning of the wedding we met an hour prior to the ceremony to take pictures....we did beach, dock, forest...great variety of scenery, but more important, Ann was expert in guiding our poses and using the light to make us look our best. The ceremony on a cliff over the lake was beautiful, flawless, and forever memorable. Ann added an energy that went really well with our small group. Ann had our pictures ready in a day despite a busy schedule and personally took us through them earlier than promised. I can't imagine that there's any better minister in North Lake Tahoe. Thanks so much, Ann! Definetly would reccomend Anne to any couple wanting to get married. She made it fun and took beautiful photos. She knew the perfect spot and made te whole experience personal and memorable. We loved Anne. As we made a trip through the west of the United States and shortly decided to get married we found Ann Poole´s Wedding homepage. The correspondence was uncomplicated and always friendly and helpful to all our questions. It was a benefit to have the possibility to create our own wedding ceremony and we were excited how it would be like on the wedding itselve. We really can say: it was the best day in our lives, a really wonderful location to get married, an awesome wedding ceremony with a really pleasant wedding minister! Thank you so much Ann for this memorable marriage! My fiancé and I drove up to Lake Tahoe to have a quick and easy wedding ceremony. After checking out a few of the chapels, I decided to call Ann at a late hour on a whim. Luckily, she picked up and we were able to schedule something for the next day. Ann was tremendously professional and had a warm caring nature to her that made the entire process sweet and memorable. I would recommend her in a heartbeat. We LOVED our "Ann Poole Wedding"
My family and I are from Iowa and had never been to the Lake Tahoe area, so as you can imagine trying to plan a wedding from afar; it was a little intimidating. Ann was AMAZING! From day one, talking to her so was incredibly helpful with locations and advice on the ceremony. And she is very knowledgeable about all the legal stuff ; it was great to be able to go onto her website and fill out the wedding license for and she simply showed up with it! She had very creative ideas for our pictures and they turned out amazing. She had our beautiful pictures on  her password protected website in less than 3 days! We got to help design our ceremony... it was all about us... so personal. Ann fit the mold perfectly of what we wanted our officiant to be on our wedding day. 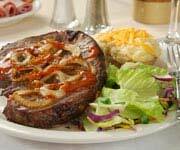 We highly recommend Ann's services! We felt like she was an old friend we had known forever. One more thought... look at Ann's prices.... they are the best I found at Tahoe! Thank you Ann for making our day so special! We had such a wonderful experience with Ann. The location couldn't be better! We walked out to a cliff in a beautiful park, overlooking Lake Tahoe. Barefoot in the sand, her service was so meaningful, and felt like each word was penned just for the two of us. Amazingly, Ann spent over an hour with us taking pictures afterwards. We would have expected to pay huge money for the quality and attention to detail Ann provided. The affordability, mixed with her clear passion for what she does leaves me with no reservation in saying that if you plan on marrying in Tahoe, you MUST call Ann Poole. You will be thrilled you did. My wife and I are still raving over what a wonderful day we had. Thank you so much Ann! 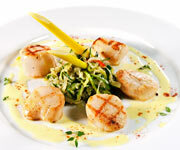 Ann Poole Weddings: All the personal attention, None of the cheese! My husband & I were looking for a wedding experience that was unique as we are, but had all the style & class that reflect our personal tastes; we found just that with Ann Poole. She focuses on designing every detail around you so that your wedding is custom to you. If there is something that you want in your wedding that is not on her website, like we wanted a sand pouring ceremony with our children, Ann will make the adjustments seamless as though it is a part of her original ceremony. We strongly recommend the custom wedding because Ann gives so many piognant options to choose from so that you & yours can say the words that speak uniquely to your souls. With the custom wedding, we got to take advantage of Ann's skilled photograph taking abilities. When we received the photos, I had to call & ask Ann if she had airbrushed me in our shots. She had not, she's just that good! We all had a great time because the entire process was relaxed, happy, stressfree, & enjoyable because Ann catered to all of us! She was able to put us at ease with her kind words, make us laugh with her quick wit, & hlep us create the perfect wedding for our family. I can not imagine being married any other way, by anyone else. We are forever greatful to Ann & her dedication to creating a one-of-kind experience for us!